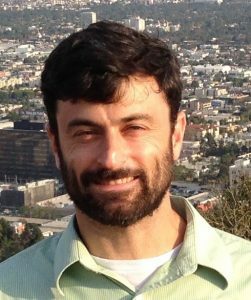 The Department of Philosophy and Religion is delighted to welcome Dr. Craig Agule as a new Assistant Professor of Philosophy starting in Fall 2017. Dr. Agule is an expert in ethics and the philosophy of law. He holds a JD from the University of Virginia School of Law and a Ph.D. from the University of California, San Diego. He argues in his doctoral dissertation, Responsibility, Reasons-responsiveness, and History, that moral responsibility is a matter of competence, not history, and he published an article on this theme titled “Resisting Tracing’s Siren Song” in the Journal of Ethics & Social Philosophy. Dr. Agule has taught introductory ethics, medical and engineering ethics, introductory logic, and philosophical problems in the criminal law. He has also worked outside the university setting with English-as-a-Second-Language learners, temporarily homeless families, high school students, and recently resettled refugees. Page last updated by Department of Philosophy and Religion at 2:55 pm April 21, 2017 . This page was printed from http://philosophyandreligion.camden.rutgers.edu/2017/04/21/welcome-to-dr-craig-agule-new-faculty-member-in-philosophy/ at 3:43 PM Friday, April 26, 2019.